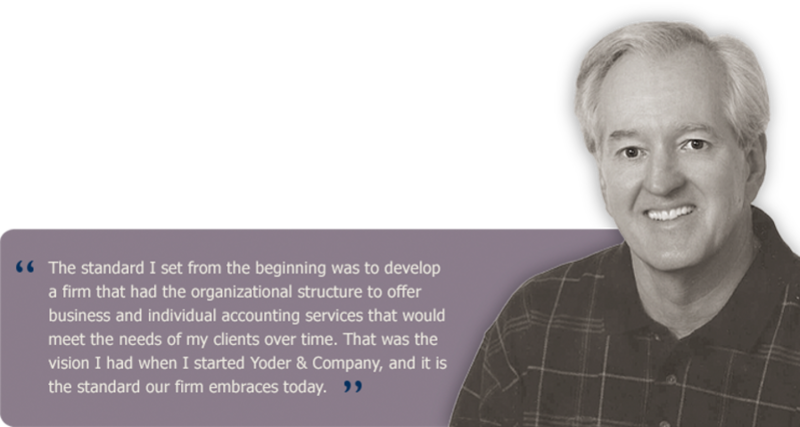 Other professionals such as attorneys, pension administrators, investment advisors, bankers, and information technology consultants know they can rely on Yoder & Company to keep them informed, respond quickly, and provide tax, consulting, and accounting expertise in a positive and supportive manner. Promote mutual cooperation, positive attitude and a good work ethic for the success and benefit of our team, our clients and our community. Ethics at Yoder & Company means high personal and company standards, and a trusted team of professionals with demonstrated sound judgment and diverse professional experience.